Decisions can either be made or arrived at. Semantics? Not really. Not everyone in the meeting room is prepared, equipped or at the expense of sounding trite capable of decision making. Most are happy if someone else does, some perhaps more “responsible” ergo “the boss” or “the Highest Paid Person”. It doesn’t take too many years of corporate life to figure out that all meeting rooms regardless of industry or country have more or less the same characters sitting in them. All of us on several occasions, at offsite team meets or at annual kick-off events complain about our calendars bursting with meeting invites. We agree to be more responsive, manage time better and yes become more action oriented, productive and “decisive” in the meetings that we do choose to attend. Yet, year after year, meeting after meeting, we keep slipping back into the very habits we wanted to rid ourselves of in the first place! The reason being the same characters keep walking into different meetings. So who really are these characters that I am referring to? Well, what I mean is that there exist certain categories of people that you invariably will find sitting across the table in the meeting room. Now don’t get me wrong but much like Halloween all of us at some point in time have turned up at meetings dressed as these characters. The one thing common about them is that they all aim to please and what is most important to them is what the boss thinks. I bet you will find them familiar as I point out the traits. Nod my head Ned: The most indecisive of the lot. This guy specializes in looking keenly interested and involved. Rarely says a word but will enthusiastically nod his head. He is just happy not to disagree. Repeat Pete: The name says it all. More decisive than Ned though since he ventures to speak. Problem is, it’s been said before and in all likelihood, by the highest paid person. Clueless Curt: Most likely to be engrossed in an email or text exchange. Late to arrive and early to leave. The kinds who make up the numbers in a meeting. Move from one meeting to the other thinking that’s what earns them their paycheck. He aims to please only because he doesn’t know better! Maybe my number’s not right Dwight: Probably the smartest and the most attentive of the lot but hugely lacking in conviction. This is the most detrimental tribe since their lack of confidence or preparation prevents meaningful discussion. Someone once said to keep doing the same things and expecting a different result is insanity. 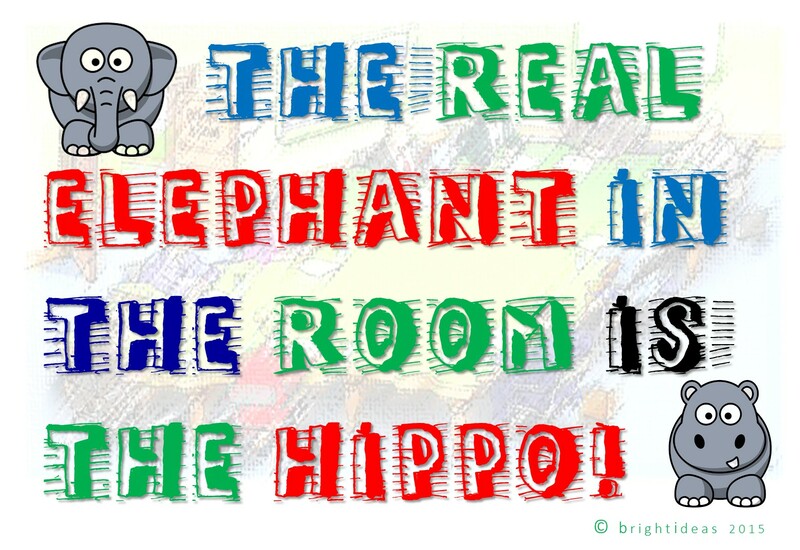 If we really want better productivity, we must address the real elephant in the room and stop hiding behind the HiPPO i.e. the Highest Paid Person’s Opinion!